One hundred years ago, George Aratani was born in Los Angeles. Raised with deep Japanese principles and educated both in America and Japan, he thoroughly learned to understand the value of both cultures. During World War II, he endured the hardships of the mass incarceration and lost his family business like so many other Japanese Americans. But his strong upbringing as a Jodo Shinshu Buddhist and his close family ties to the Japanese American community allowed him to persevere without hesitation. He promised to his dying mother not to worry “I will be successful and help others” this became his mantra throughout his life. George Aratani’s smart entrepreneurship enabled him to form two giant international companies Mikasa & Co. and Kenwood Corp. He was an intuitive businessman who made it big in postwar America following World War II. 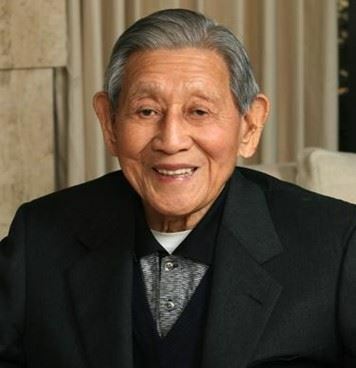 The success of his business ventures gave Aratani the money and power to help the Japanese communities and Japanese Americans who suffered because of the mass evacuations during WWII. George lost the family business due to the internment. Without Mr. Aratani’s contributions, the Japanese American National Museum would not be what it is today, the Japanese American monument in Washington, D.C., and many of the other organizations and projects which counted on his counsel and financial assistance. The American Buddhist Study Center is pleased to host the George Aratani Centennial Tribute; he was a great Japanese American, Nisei. On behalf of all the organizations including the ABSC that he helped, ABSC is deeply grateful to the past, present, as well as future generations, that will benefit from the Aratani Foundation. Sponsorship, Platinum $5,000. Silver $2,500. Gold $1,000. Signature $500 and Sustaining $250. Program booklet ad, Full page $200, Half page $100, Quarter page $50 and Booster $20. The American Buddhist Study Center is a non-profit organization founded in 1951 by the late Reverend Hozen Seki as a Japanese Buddhist cultural center. Rev. Seki provided a Buddhist Center for people interested in learning more about the Buddhist teachings. Back then the ABSC was known as the American Buddhist Academy and provided programs and demonstrations on Japanese Tea Ceremony, Ikebana classes, and all other forms of Japanese culture that had its roots in Buddhism. Today, the ABSC’s mission is to continue to introduce Buddhist principles and Japanese traditions that have impacted our American culture in literature and all art forms.